I found this recipe on Pinterest a while back and have been meaning to share it. 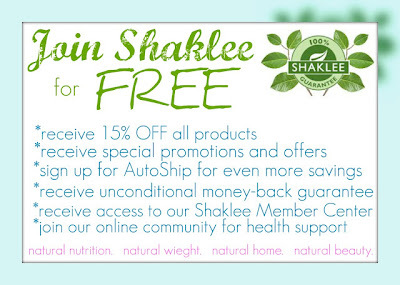 First off, don't miss out, just one day left for our Free Membership with Any Purchase promotion!!! I found this recipe while looking for vegetarian options. My husband decided he wanted to eliminate all meat for a month to see if 1) it was something he could do and enjoy and 2) to see what health benefits it had. I don't know about him, but I have lost 5 pounds just by making that simple change. I feel more energetic and don't feel weighed down after a meal! I think we've decided we're going to allow meat back into our diet, but in very limited amounts, probably about once a week. This recipe was really yummy! In a sauce pan combine 1 cup quinoa and 2 cups water and bring to a boil. Reduce heat and simmer 15-20 minutes, or until all the liquid is absorbed. Meanwhile, slice off the tops of the bell peppers and empty the inside. Put 1 tablespoon of cheese at the bottom of each. Sauté the garlic, and jalapeno for 3-4 minutes in the pan. Add black beans, corn and tomatoes and sauté for about 3 more minutes. Remove from heat. Pour the quinoa into the pan and toss to combine. Add the cilantro, chipotle powder, cumin, chile powder, garlic powder, and oregano. Sprinkle with salt and pepper to taste. Thoroughly mix in the seasonings. Stuff the bell peppers with the quinoa mixture. Bake for 20-25 minutes. Add the cheese to the tops of the peppers and cook an additional 10 minutes or until the cheese is golden and bubbling. Here is the original recipe, although I skipped the ground turkey since the quinoa, beans, and corn already provide a great source of protein. Combine 1 cup quinoa and 2 cups liquid (water or chicken brothe) in a sauce pan and bring to a boil. Reduce heat and simmer 15-20 minutes, or until all the liquid is absorbed. Meanwhile, slice off the tops of the bell peppers. Pull out the core along with any excess white ribs or seeds. Put 1 tablespoon of cheese at the bottom of each. Cook the turkey meat in a large pan. Drain the excess fat and liquids and transfer to a plate. Sauté the onion (reserving some for garnish), garlic, and jalapeño for 3-4 minutes in the pan. Add black beans, corn and tomatoes and sauté for about 3 more minutes. Remove from heat. Pour the quinoa and turkey into the pan and toss to combine. Add the cilantro, chipotle powder, cumin, chile powder, garlic powder, and oregano. Sprinkle with salt and pepper to taste. Thoroughly mix in the seasonings. Stuff the bell peppers with as much quinoa mixture as you can fit inside. Bake for 20-25 minutes.